The spectacular sea side town of Dubrovnic. With demand exceeding supply during the last two seasons, close to 20 new-build ships have been made available, with many being family owned and operated and all of them intimate with a maximum of 40 guests on board. Cruise Croatia’s range of small ship cruise itineraries has been designed to offer guests a comprehensive experience of the stunning Dalmatian coast and seven styles of cruise with deluxe, first-class, traditional, mini-cruises, themed cruises, cruise tours and international cruises available. Check out Cruise-Croatia.com.au to score the best possible deal, including fantastic Earlybird savings and last-minute offers, for a simply idyllic holiday in the Adriatic. 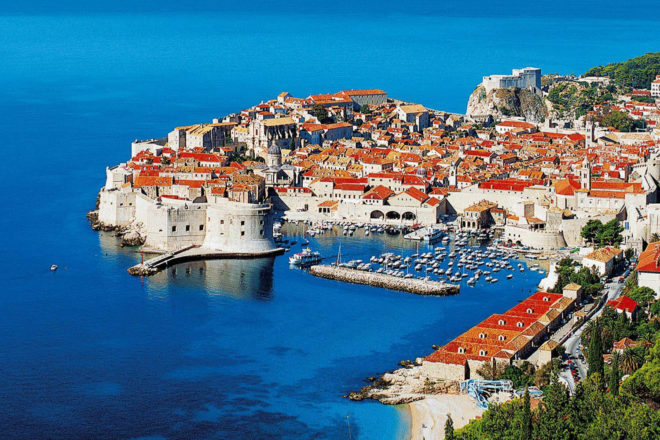 Below are some top tips from the experts at Cruise Croatia to help you negotiate the huge range of options when it comes to selecting the perfect cruise. Consider what you will be doing when you are not enjoying breathtaking scenery, immersing yourself in tours of rustic villages, or enjoying delicious local cuisine. How do you envisage spending your down time? Given the high standard of the new small ships in Croatia, you may find yourself spoilt for choice, but be sure to always check the on-board amenities and don’t take what you’ve heard from other travellers for granted. Ask if your small ship includes: outdoor sun-lounges, a bar or entertainment area, shaded outdoor areas, an air-conditioned indoor lounge area, and especially a spacious top viewing and lounging deck. A good balance between time on land and at sea is a must to ensure you experience the best of Croatia’s spectacular coastline, the islands and the mainland’s traditional rustic charm. How much time you spend at each port is also important given that you will most likely wish to involve yourself with the Croatian people and their culture during your visit. Given that you will be cruising for similar reasons and spending quite a bit of time together, it may be important to you to be surrounded by people of a similar age. The cruises are intimate and offer opportunities to engage with other passengers. Ensure that your cruising experience is perfect by doing your research and booking a ship and cruise itinerary with the most appropriate age bracket for you. All ships are half board with breakfast and lunch included to allow guests to explore the many ports each evening in search of local delicacies. Every island and town has a wonderful selection of restaurants to choose from so try to wander away from the mainstream tourist areas and search for the local speciality restaurants. Here are some suggestions on where the locals eat. Dva Ribara – a small family run restaurant with a long history and a stunning sea view. Its produce is all home-grown, with its speciality being ‘Peka’ – meat and vegetables prepared in a large baking dish with a bell-shaped dome lid, cooked on an open fireplace with hot coals. Tavern Humac – a bit off the beaten track but definitely worth a visit, it is located near Jelsa about 30 kilometres from Hvar, so you will need a car. Humac is a small village with beautiful Dalmatian stone houses. The restaurant is famous for traditional food and offers a variety of meat and organically grown vegetables all accompanied with a glass of local wine. Aterina – a local hotspot located on the western edge of the Old City, known for its homemade food, daily baked fresh bread and house-made brandies. Konoba Pagar – is known for fresh fish caught daily by a local father and son team. Pantarul – the homemade bread and pasta is to die for not to mention the great selection of Croatian wines. It’s open until midnight making it great for a casual late night snack. Orsan – located near the yacht club in Lapad, it has fantastic ocean views and is known for its seafood and reasonable prices. Family Farm Household Novakovic – set in a charming ancient rural village near Dubrovnik, most of the produce comes from the family’s own soil and they strongly recommend their home-made cheese and smoked ham, dry figs, wine, olive oil, a special herb brandy called Travarica and other liqueurs. Check out Cruise-Croatia.com.au to score the best possible deal.